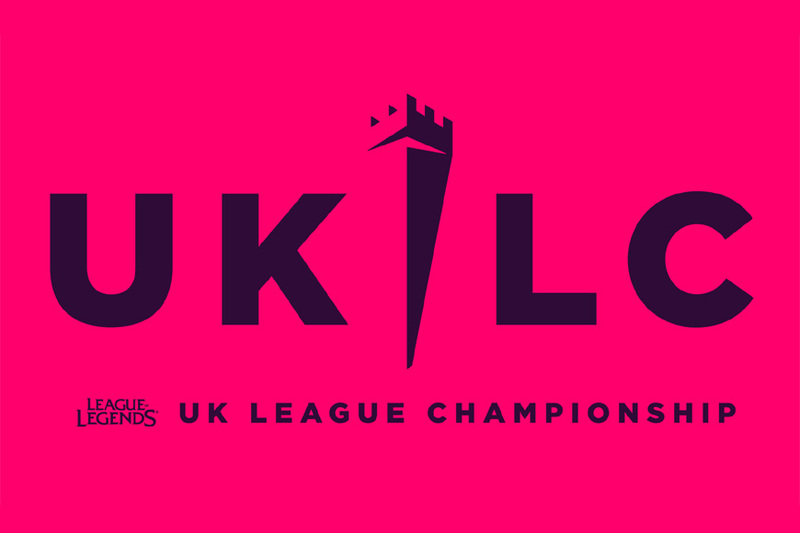 Esports News UK editor Dom Sacco had the chance to interview Riot UK head of esports Mo Fadl (left) and LVP VP and co-founder Sergi Mesonero about the new UK League Championship (UKLC), which was revealed earlier today. Esports News UK: Please give us an overview of the new UKLC. What was the thinking behind it? Sergi: We want to focus on the feeling of community, on entertainment, having a different vibe that cultivates stories and feels relevant. One thing that Mo had a vision around is that every match must feel relevant. But with a traditional round robin format, sometimes it's very difficult to have this. Not all the matches feel relevant. Then we came up with the idea of a kind of king-of-the-hill-like format, the tower, where every match is a matter of life and death, at least weekly. It gives a bigger narrative during the whole split, but because of this tournament format... if you fail in one match, it's over until next week. That's what we went with, a format that tries to give a lot of entertainment and make all matches relevant. Of course, with this we don't want to compete in the same playing field as the LEC, we cannot and will never be able to because it's a continental competition. "The UKLC and Forge of Champions fosters talent, allows teams to have business models and create an actual living out of esports." Mo: It's a radical move for Riot. We're moving away from the traditional concept, we're reinventing ourselves, we create content and focus on entertainment with the top talent in the UK. How we present it has to be very different so it's appealing to the audience, it resonates with them and there's a feeling of belonging. We met with the Riot executive team recently and said what we're doing is small moves. They said what you're doing is anything but small. Through this we allow the UK to get a real ecosystem. The Forge of Champions is open for amateurs to come through, compete and have a chance to reach the next level, and then from the League to the next level. It fosters talent and allows teams to have business models and create an actual living out of esports. Mo: Yes. There will be a relegation/promotion system, after Forge of Champions, where the top teams there will play the lowest teams in the League. The amateur teams have a chance to get into the UK League, and naturally the best teams from there will have the chance to reach the EU Masters. Then they will have the exposure on a European or even global scale - that's appealing for teams and talent. Talent can be seen on a global scale by all teams and all leagues, which fosters new talent in the ecosystem. There's a journey for them and they can make a living. Sergi: We're going to have a UK League between February and March, pretty similar to what other regional leagues are doing. In April there will of course be the European Masters, then Forge of Champions will start with grassroots online tournaments during the EU Masters. When the EU Masters finishes, the pro teams [from the UK League] will be joining Forge of Champions, in a similar way to what happened last year. At the end of Forge of Champions there will be promotion/regulation between the best teams in FoC and the worst teams in the UKLC. "Where we've run promotion/relegation in Spain in the past, when an amateur team gets promoted, usually they don't have a problem finding sponsors or an organisation that will absorb them." So, teams in the UKLC can change? Mo: Yeah. The nine teams will just be there in the UKLC for the kick off. The first season will be a shorter season because we're starting from scratch. We wanted to kick off with a strong roster of teams, where we know we will likely see them over the next decade in the UK esports scene. But as Sergi mentions, after each Forge of Champions there will be promotion/relegation tournament, where an underdog team has a chance to beat one of the top guys and take their slot in the league. Sergi: Where we've run promotion/relegation in Spain in the past, when an amateur team gets promoted, usually they don't have a problem to find sponsors or an organisation that will absorb the amateur team and transform it into a professional one, so we're not really worried about an amateur team entering the competition with pro teams. We know when this happens, this team usually becomes professional very quickly. What are your thoughts on drama floating around the UK scene in the past? Mo: I want to create an esports scene which is healthy and prospering. No drama. It's time for the UK to step up. That goes for everyone: Riot, LVP, teams... There will be drama, to be honest. We want to show the world we're stepping up, but we need drama. It needs to be relevant, impactful and entertaining. Entertaining drama. Is the new LVP UK studio broadcast setup complete yet? Sergi: We don't want to spoil it, but it's going to be totally different, not only from traditional esports studios but even from what we're doing in other countries. We don't want the traditional image of a desk and the casters. It's okay but we want to do something different, more dynamic. In Spain we aim for that polished TV look. Here in the UK we want to go for a more casual and relaxed style, but still triple-A. Mo: The studio will be used for this first split. It's being built right now.